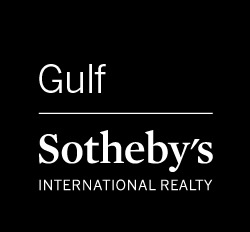 Gulf Sotheby's International Realty is pleased to offer you this one-bedroom apartment in The New Address - Harbour Point located in the new high demand development Creek Harbour - The Island District Dubai. Strategically located on the breathtaking views and great investment opportunity. Furnished and serviced apartment to the highest finishing to the highest quality offering a high return on investment and capital appreciation. State of the art swimming pool & gym. Strategically located in the island district of the Creek Harbour, this apartment is ideal for modern facilities, working professionals and lifestyle enthusiasts. It features an 1431 Sq. Ft. total area with 3 bedroom, generous living spaces, and contemporary finishing and furnishing. The living area luxuriates in the views of the Creek Harbour community and the soon to be world's tallest Tower. The modern kitchen is equipped with state of the art appliances whilst the en-suite master bedroom highlights the generous space. To reserve this fantastic opportunity will just require 10% of the sale price with flexible payment plan of 30% on completion in 2021.